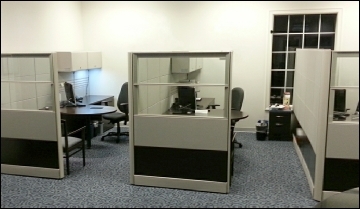 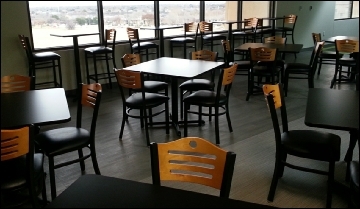 (240) Used HW Premise workstations, new private office casegoods, conference rooms, and breakroom. 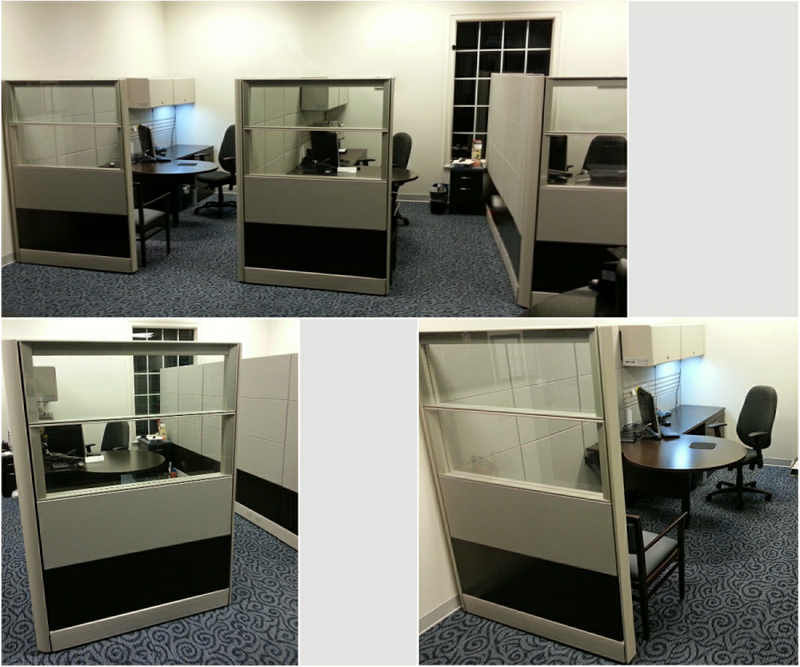 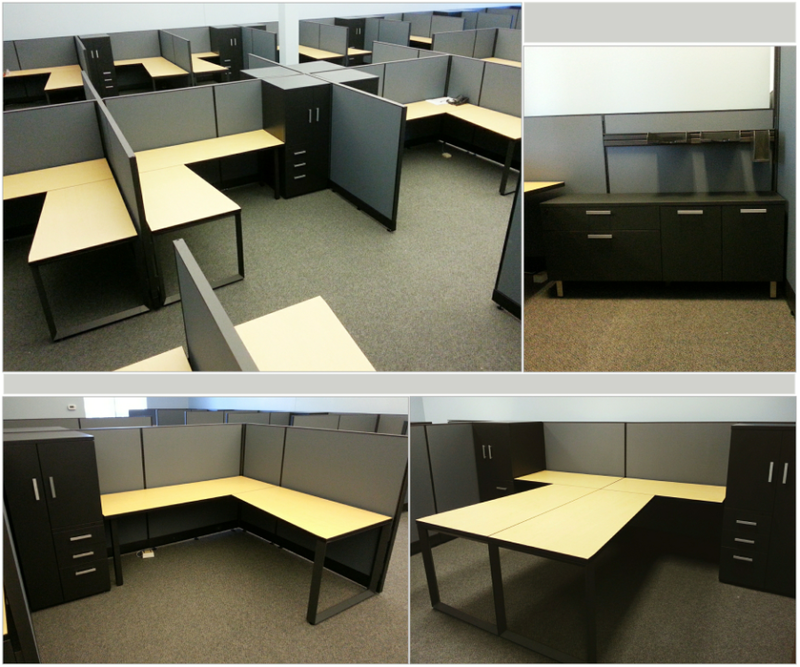 (57) New Novo workstations, conference room, training room, breakroom, executive office. 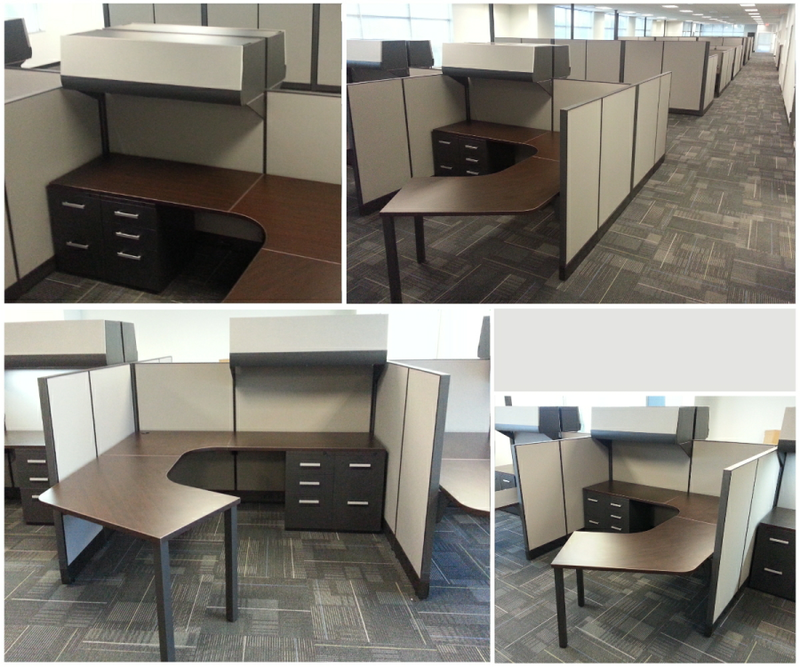 (27) New Novo workstations, featuring wedge main worksurfaces and storage wardrobes. 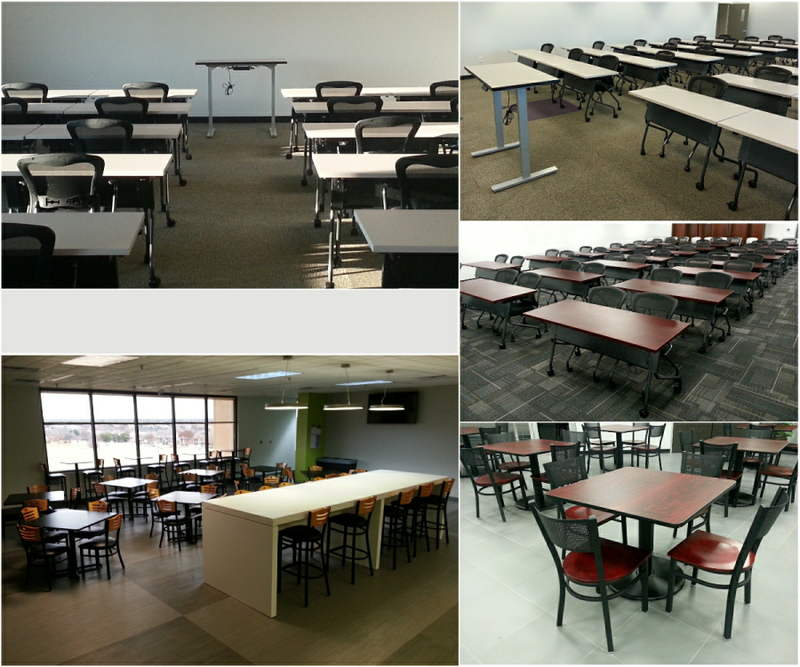 30 seat training room with mobile flip tables and chairs. 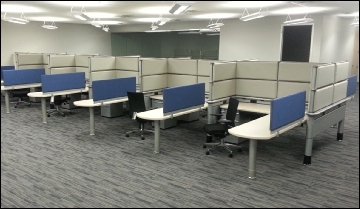 (42) Used/remanufactured HW RACE workstations. 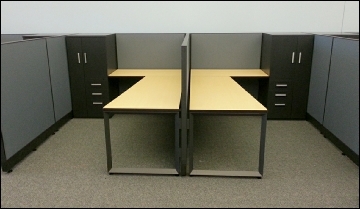 Components remanufactured for different redeployment and aesthetic. 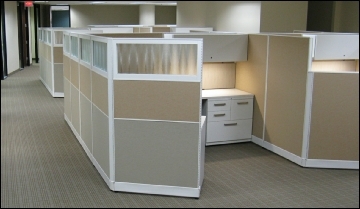 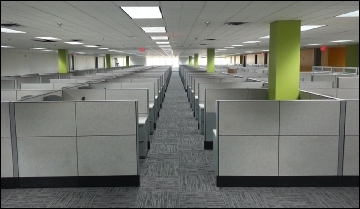 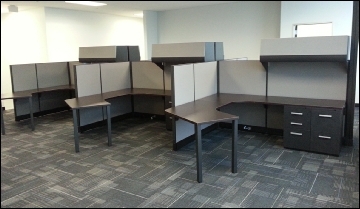 New Tiles workstations at multiple facility annexes; includes casegoods for private offices, conference rooms, task seating. 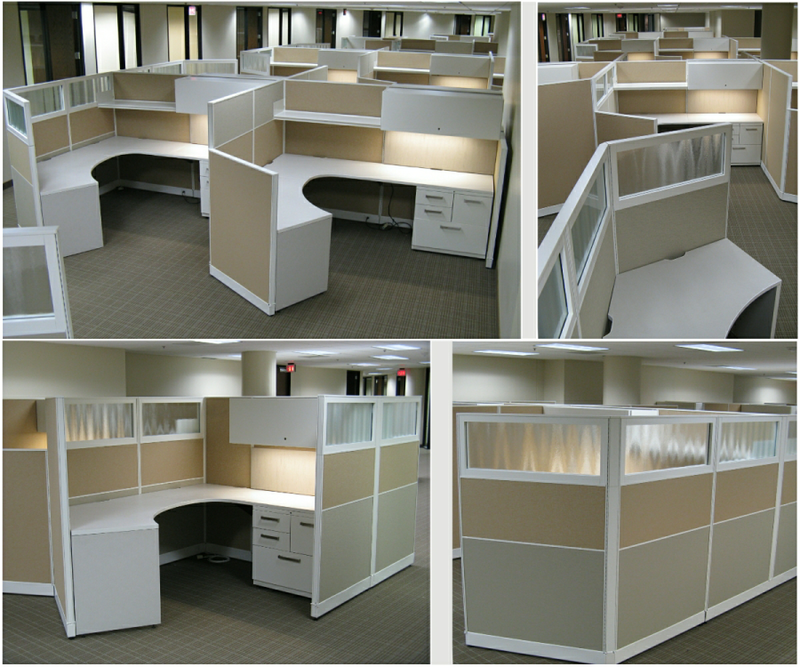 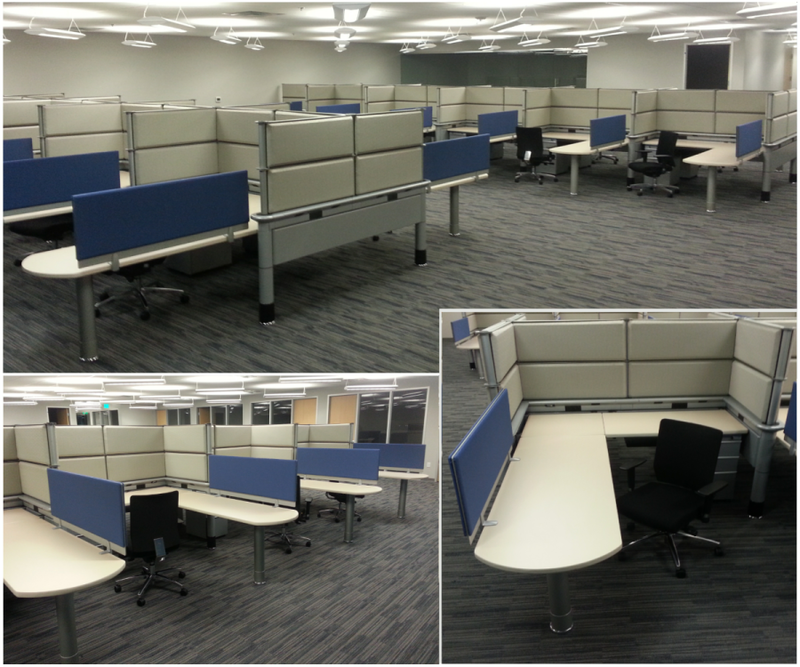 (34) Used Haworth Two workstations, redeployed with uniform aesthetics for new layout. 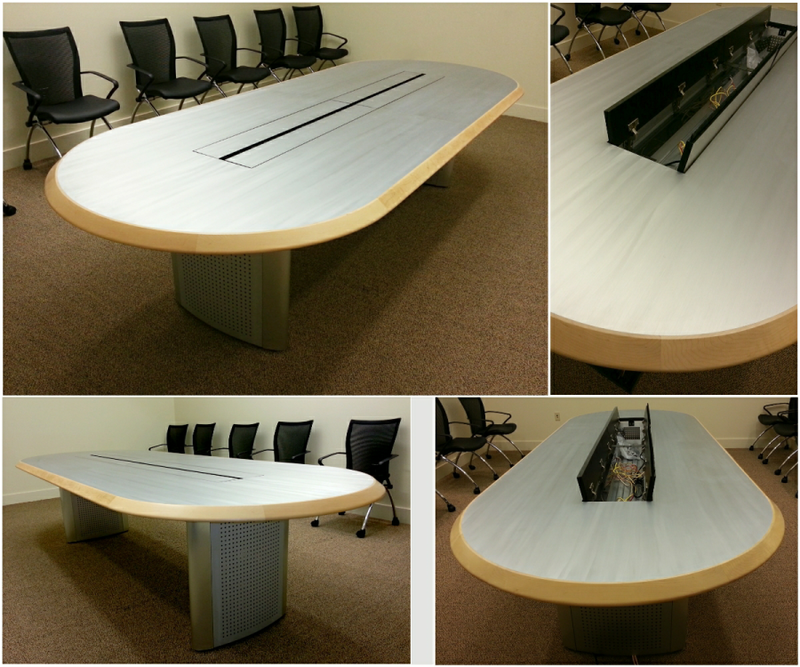 New Mesa 10’ smart conference table with electrical and data trough + two 8’ Mesa solid top conference tables. 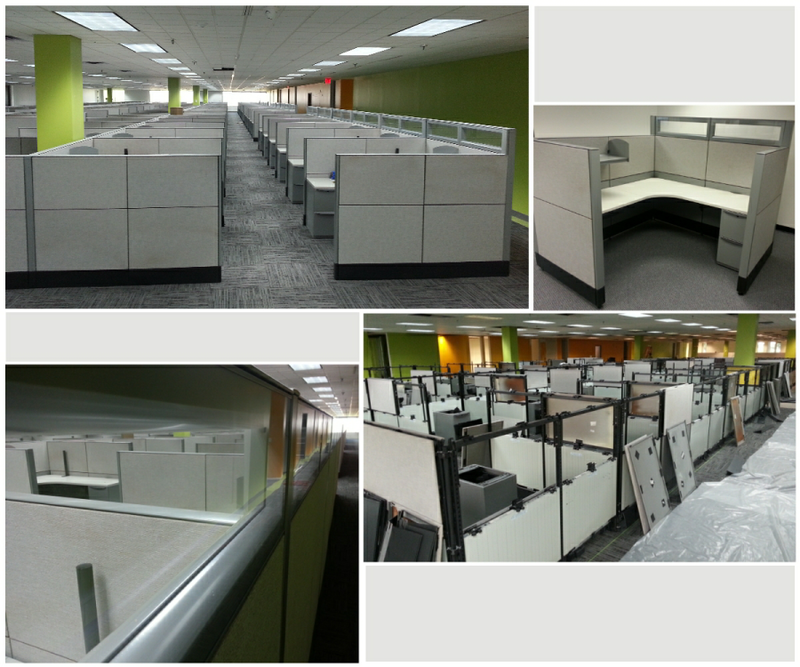 Selected breakroom and training room projects. 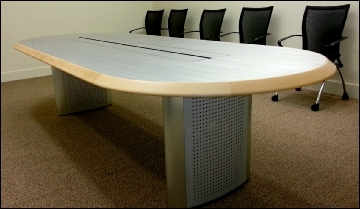 Training rooms illustrate flip tables and chairs, as well as electric height adjustable podium.